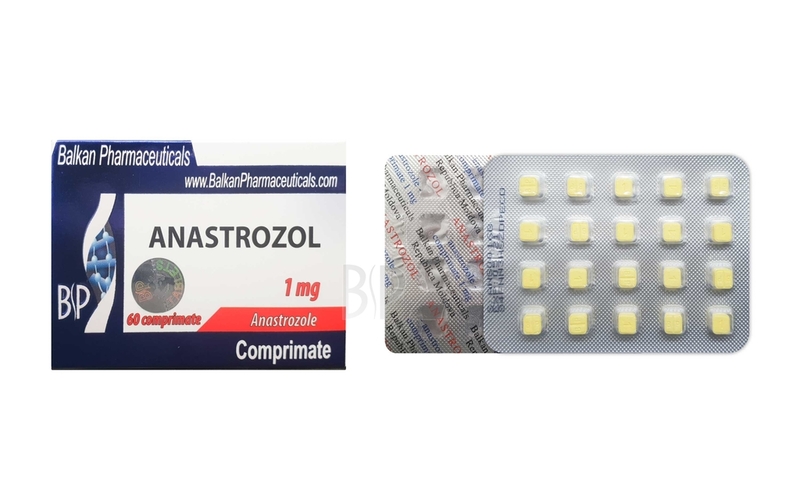 Anastrozol is a very powerful highly-selective non-steroidal antiaromatizing preparation of third generation. The usage of Anastrozol by women during post-menopause (the examples of the discussed generation of antiaromatizing prepations under clinical conditions are designed for usage by women of this period mainly) in daily dose of 1 mcg causes decrease of estradiol level in blood by 80% and in the experimental investigations – by 98,1%. This preparation in the dosage of 10 mg per day has progestogenic and androgenic activity, has no effect on cortisole and aldosterone secretion. By the means of anti-aromatizing effect anastrozol surpasses aminoglutetimid in 250-300 times and, having long half-life term, can prevent feminization cases when used in little dosages. Anastrozol shows great potential for the athletes that use steroids. Before this, Tamoximed and Provimed were our weapons against excessive estrogen. These preparations, especially in combination, indeed are very effective. 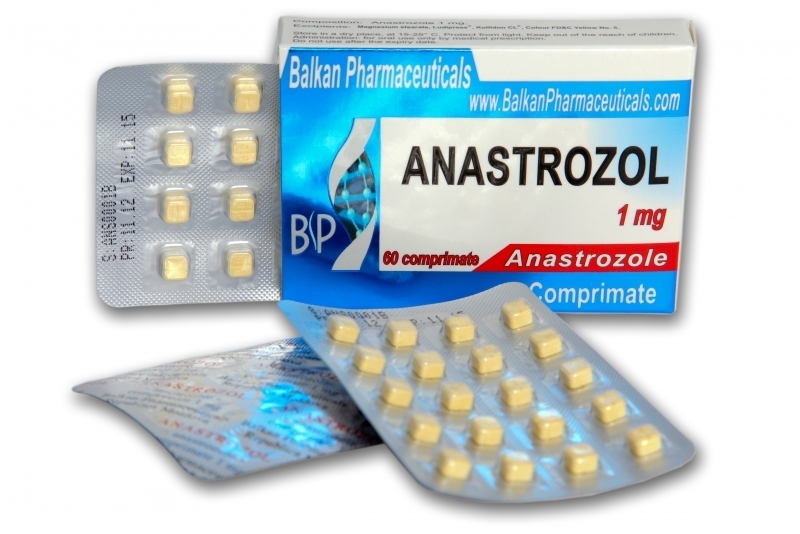 But Anastrozol seems to be able to execute the work much more effectively and with less side effects. One daily tablet (1 mg) gives a very strong effect on the patients that need results achievement (some of them even tell about excellent results with only 0,25 mg daily). When used by bodybuilders that readily use androgens like Danabol or Testosterone, gynecomastia and water retention may be effectively blocked. Especially effective for professional athletes who make more than 5 grams of testosterone weekly – it is enough to use 1 mg or 4 tablets of 0,25 mg in order to block any possibility of testosterone conversions into female estrogen. In combination with Finasterid we have great progress. By using one preparation that blocks estrogen conversion and the other blocking 5-alpha-reductase the side effects may be effectively minimized. In this situation androgenic Testosterone might theoretically provide unbelievable muscular growth which is the same tolerable as Nandrolon. Additionally, the muscles quality should be stronger; the athlete seems to be tougher and much more volumetric without retaining excessive water. There are some problems with aromatase inhibitor usage. This effectively decreases estrogenic side affects and at the same time blocks profitable estrogen features (and namely, its effect on cholesterol value). The investigations clearly showed that when aromatase inhibitor is used in combination with steroid of Testosterone type, HDL (good) suppression becomes much clearer. Possibly, estrogen plays its role in steroids use negative action decrease. Since estrogen receptor antagonist Tamoximed doesn’t show the anti-estrogenic effect on cholesterol value, this plays its role for those who are interested in cardio-vascular health.